The art of stained glass has been around since the Egyptians ruled all of the known world. Early examples of stained glass in windows and amulets, dating back to the seventh century and beyond, have been found in churches and monasteries all over Europe, Where they were used to teach the predominately illiterate agrarian population Biblical stories. The creation of stained glass art requires creativity in order to imagine the design. You will also need a bit of engineering skills to know how to assemble the pieces. If it’s a window you desire, it must fit very snug in the space it will be installed in. The window must be strong enough to withstand rain and wind. 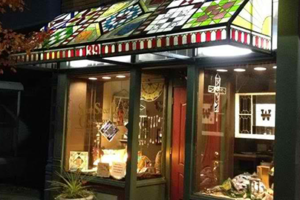 When you create a stained glass window at The South Street Gallery, you can rest assured your window will be both professional and beautiful. Sign Up For Our New Classes Today!